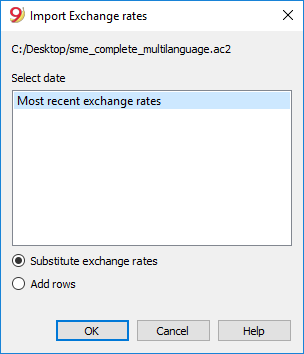 This option is only present in Double-entry accounting with multi-currencies. The characteristics are the same as the ones of the Import transactions function. Text file with the column heading (text file *.txt). Note: Exchange rate history files only show the Foreign exchange rate table and keep a record of past exchange rates.